Our workshops offer an in-depth insight into the cultural analogies and contrasts between ancient and modern-day Greece, and into the arts and the long tradition of exceptional craftsmanship techniques. 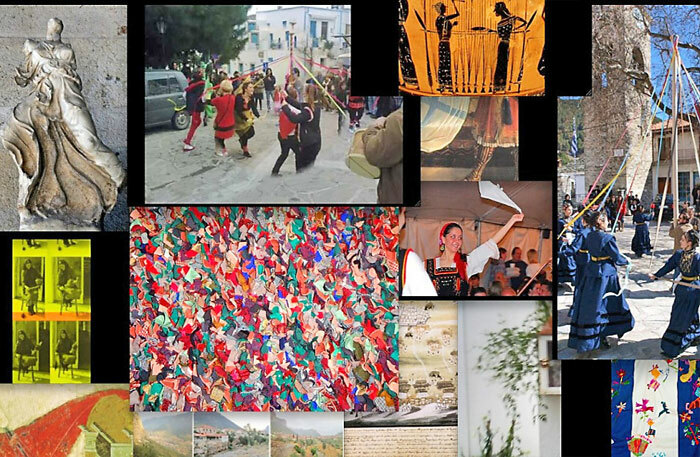 The workshop programs are inspired by the genius loci of Athens and the mythical places and nature of the Peloponnese. Our workshops are for artists, designers and creative people who want to extend their knowledge and practice. Humans wore jewellery long before they build houses. Why? Greece has a long tradition in jewellery art dating back to Neolithic Age. Jewellery is still used in Greece as a way to connect wearers to the divine cosmos. In the five day trip to Athens you will discover the magic thought and the longing for immortality behind ancient Greek jewellery treasures and will add insight and sophistication to your own work. The curated trip "Ancient Greek Jewellery" introduces participants into the original meaning of jewellery, analyzes the contemporary aspects of its source of inspiration Greek mythology, explains the language of symbols and motifs, examines challenging techniques still in use, connects jewellery to metaphysics and democracy and deciphers the timeless appeal of Greek aesthetics. Why is this trip important to me as a jewellery artist, designer, maker or goldsmith? Jewellery was born out of the need to control destiny and the beyond through magical rituals and objects. Ancient Greek jewellery is about knowledge transcripted in symbols. The trip is about broadening your cultural horizons and transferring this knowledge in your own work in order to add meaning and purpose. The topography of Athens will also help you understand how democracy was connected to the crafts and the market and what the function of the latter was. 1. A small group of two to four designers or jewlery lovers. We call the trip "curated" for we design it according to your own requests and needs. 2. A Five - Days/Four-Nights Artist Residence in down town Athens/Greece in a quiet flat with own room/shared bathroom including breakfast (or same category hotel room) plus atelier space to work. 2. A curated visit at the National Archaeological Museum's art and jewellery collections (including entry ticket). 3. A one day complete tour of jewellery and mythology related archaic/ ancient/Roman/medieval Athens topography -- including entry tickets in fabulous archeological sites. 4. A one day city tour through ancient/Roman/medieval/othoman/neoclassical/modern Athens on foot with emphasis on spots and PLACES of interest to you. 5. A curated visit at the Byzantine Museum of Athens to view the late Roman and medieval art heritage of Greece and understand how concepts and symbols were recycled/renamed or adjusted to fit the needs of Christian Europe. 6. A customized three hour workshop on "Ancient Greek Jewellery" (Motifs and designs/Meanings and uses/Materials/customs and beliefs/societal connections etc.). 8. Professional advice on how to exhibit in Athens/Greece. Cost: 680 Euro/person. The price does not include travel fares or bus tickets from/to airport or around Athens. There is the possibility for a longer stay in Athens, if you wish. The workshop offers an exclusive approach to traditional Greek stitching, knitting, weaving techniques. It introduces participants into the Greek textile motifs "esperando" reflecting the concept of unity between man and cosmos. Greek textile art is a unique and charming fusion of ancient Greek and Roman, Byzantine, Islamic and Othoman traditions. The workshop takes place in a 19th century mansion in Leonidio, Arcadia. The beautiful town surrounded by an impressive red canyon is under monument protection. Untouched by tourism, Leonidio is one of the last resorts of archaic social structures and customs in Greece. 1. An exclusive introduction into the Greek textile tradition (techniques, tools, semiotics, philosophy, history). 2. Teaching of traditional and free style textile art techniques, such as knitting, stitching, reverse stitching, lace, weaving, crochet, applique etc. using the best organic and hand made materials. 3. 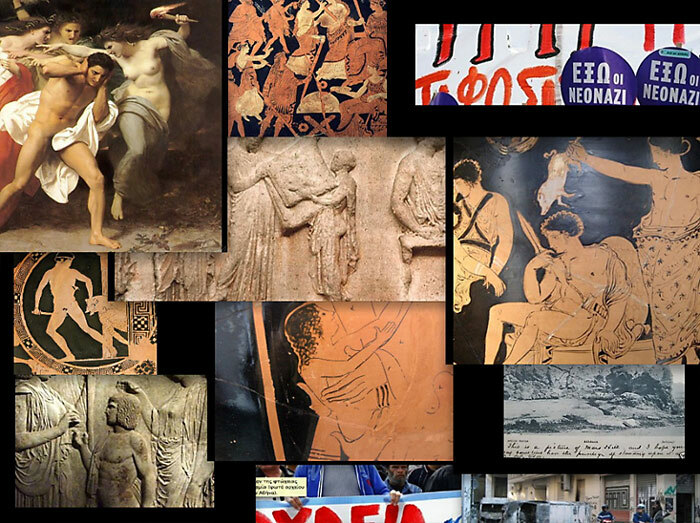 Contact to traditional makers to experience the Greek tradition of narrative, making and sharing inside a group. 4. Atelier space and special tools to practice and experiment. 5. Customized approach to meet participant's own creative needs. 6. Motivation, support and encouragement to develop own textile techniques and/or appropriate tools. 7. Experimental and mixed techniques applications: print, tridimensional installation, stich on canvas or paper, organic and recyclable materials. 8. A thourough insight into Greek textile history and textile connected religious and secular customs. 9. The possibility to present your own work in a local gallery. 10. A seven days/six nights residence in a single bedroom (+ breakfast) with shared bathroom. Use of the atelier, garden and terraces of the house. Cost: 720 Euro/person - max. 6 participants. The fee includes basic material to work with. It does not include travel air and bus fares to/from Athens and Leonidio.